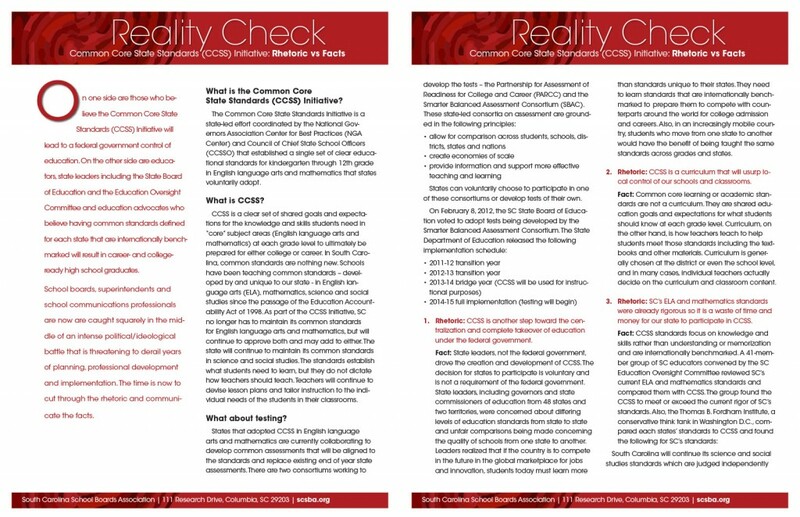 On one side are those who believe the Common Core State Standards (CCSS) Initiative will lead to a federal government control of education. On the other side are educators, state leaders including the State Board of Education and the Education Oversight Committee and education advocates who believe having common standards defined for each state that are internationally benchmarked will result in career- and college-ready high school graduates. School boards, superintendents and school communications professionals are now are caught squarely in the middle of an intense political/ideological battle that is threatening to derail years of planning, professional development and implementation. The time is now to cut through the rhetoric and communicate the facts.